Wide Format Mounting and Lamination – Full Scale Art Installation! 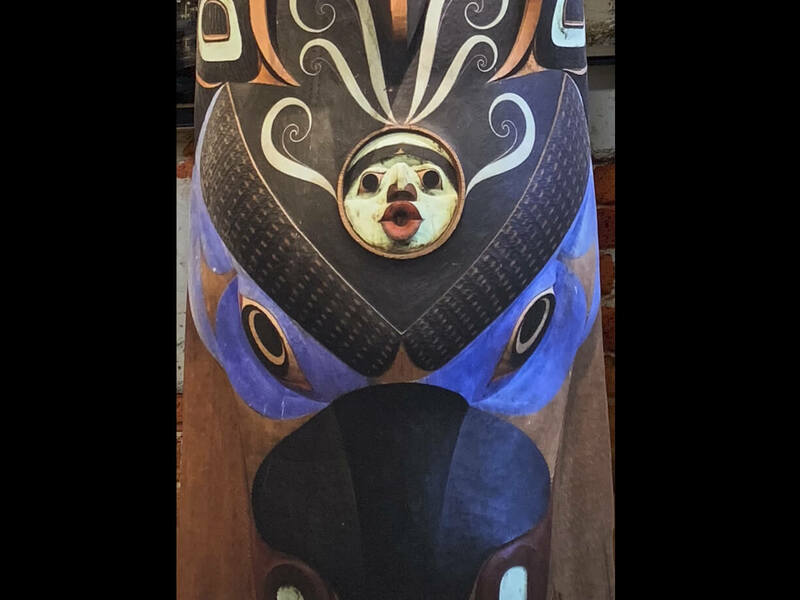 We love Stonington Gallery (located in historic pioneer square), and we love collaborating on new and interesting projects. 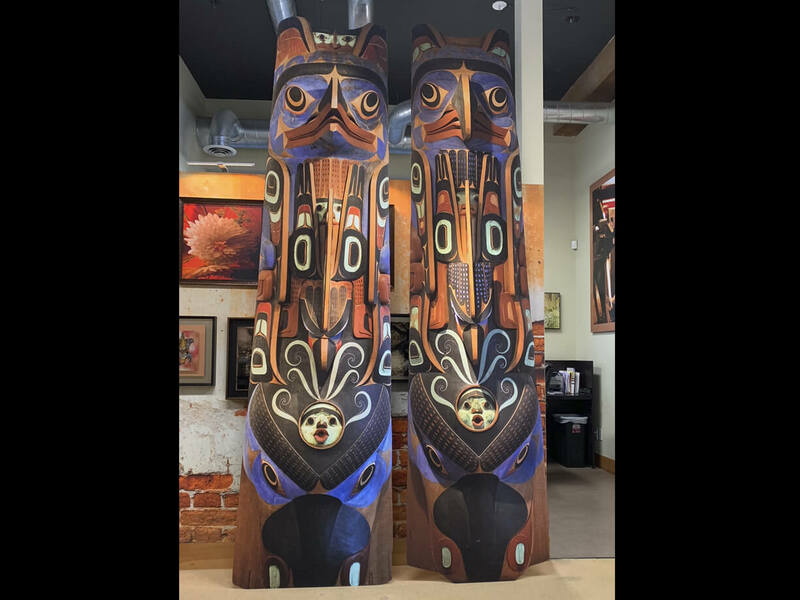 So when they asked us to create these full scale (3 ft x 10 ft) Totem Poles for a client installation, we jumped at the opportunity. Check out our Large Format page to see more projects. Super appreciate you helping us out. I’m happy to have found The Color Group and will certainly be using you as our printer in all future projects. These large format prints were mounted to FoamCore and cut out by hand to ensure the contour and final shape was just right. We then carefully scored the backs in 3 sections and applied gaffing reinforcement tape so that these 10-foot beauties could be tri-folded down for easy transport. Thanks Stonington for such a fun project to work on and for the opportunity to push our sense of creativity and ingenuity!